Most home owners like to be a bit self-sufficient around the house. Being able to do simple repairs on your home is a great thing, saving money where you might want to spend it elsewhere. When it comes to fixing the little things, simple plumbing fixes can be easy. 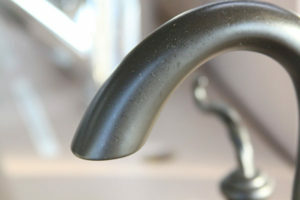 Here are some money saving tips for simple plumbing fixes. Don’t let clogged drains get you down. For sinks try taking off the trap to see if that’s where the clog is, if not, try a drain snake. If neither of these works, opt for some DIY drain cleaning with baking soda and vinegar. Isn’t it annoying to have the shower head drip while you’re taking a shower? Often times it’s so easy to fix just by using some thread tape. Usually the culprit is just some loose threads, so the tape will make those connections tighter. Does it seem like your toilet is always running, even if you’ve “wiggled it after flushing? This will put a serious drain on your water bill. Inspect the tank, and you will probably see that the flapper chain needs some adjusting. Sometimes it’s only simple adjustments that can make some big differences. If your toilet is clogged, or seems to not be flushing as well as it could be, invest in a plunger. More often than not, a plunger can solve the problem. If the toilet is still getting stopped up, try pouring some boiling water down the drain. Is the water pressure low coming from your showerhead? If so, the most likely culprit is a build of minerals. This build up can reduce pressure over time. Let it soak in a cleaning solution for a few minutes and see how much that helps. There are times when a professional plumber is needed. These are just simple tips and tricks to common household problems. Any problem left untreated over time can lead to bigger problems. Wyman is a hometown plumber, and we pride ourselves in providing professional service in a timely manner, that works with your schedule. When you need a plumber, you need Wyman Plumbing! Contact us today!